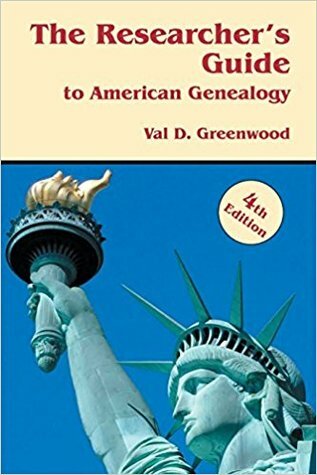 When it was originally published in 1973, The Researcher’s Guide to American Genealogy, by Val Greenwood, revolutionized its field. It was the first true textbook ever published about American genealogy. Combining how-to guidance, case study examples, and an extremely detailed discussion of genealogical records, The Researcher’s Guide was both an instant success and the go-to source for its users during each stage of their research. Following the publication of Alex Haley’s Roots and the TV miniseries that book spawned, sales of Mr. Greenwood’s book soared, assuring its reputation as the best book in American genealogy ever published. Between 1973 and 2000, two additional editions of The Researcher’s Guide were released, primarily in response to the use of the personal computer for compiling, organizing, and publishing genealogical information. By 2000, the early stages of digitizing genealogy data, mostly on CD-ROM , were also in evidence. Since the publication of the 3rd Edition of The Researcher’s Guide in 2000, the genealogy landscape has changed dramatically. Almost everyone now uses a computer for research. Thanks to the Internet, with a click of the mouse, genealogists have access to more data they could ever dream of studying; data they would have had to travel far and wide to come by in the past. Much of this information is free, or moderately priced through commercial subion services. To cite one crucial example, the entire U.S. federal census, from 1790 through 1940, is available online and completely indexed, from several providers. DNA has also become an important tool in genealogy in recent years. Whether or not they know where their immigrant ancestors came from, with a mere sputum sample, Americans can discover their ethnic origins in just a matter of weeks. This technology can help fill gaps in the family tree by, among other things, putting one in touch with others possessing a similar genetic make-up. The 4th Edition of The Researcher’s Guide to American Genealogy both embraces the changes of the last seventeen years and yet transcends them. Mr. Greenwood has re-written every chapter and added two chapters about technology as it relates to family history research–one dealing with significant concepts and definitions and the other with specific resources and applications, including major family history websites and Internet resources. In addition, virtually every chapter provides information on Internet websites pertinent to the subject discussed in that chapter. Greenwood covers all the major changes in the field, including DNA research. The final result is a 4th Edition that is 25% longer than its predecessor. Given the unprecedented amount of information on the Internet, today’s researcher is able to reach beyond the vital statistics to a new world of understanding, both of his ancestors and of himself. Accordingly the author shows the reader how to build a family history about actual people, not just names and dates, from the myriad available sources. Mr. Greenwood also recognizes that not all sources researchers are seeking can be found online today—some never will be—that much information on the web is faulty or unsourced, and that researchers invariably enter dead ends or hit brick walls. Good instructional guidance, consequently, is critical to the success of family history research, and this is where The Researcher’s Guide is unsurpassed. It is both a textbook and an all-purpose reference book, designed to help the present generation of family history researchers better understand the methods and principles of family history research, and learn how to utilize all available resources. In short, this new 4th edition provides a clear, comprehensive, and up-to-date account of American genealogy—no sound genealogical project is complete without it. I’ve always been interested in my family history and started working on it years ago before the world of the internet. I eventually put it away and it has been in a box for many years. Reading this book and having it as a resource has sparked my interest again especially since my mom was adopted. She filled out some papers a few years ago wanting at least medical information but there was nothing available. Now with DNA testing available along with the resources in this book, I might be able to get further in my research. I’m excited! For anyone who is interested in seriously working on their family history, this is a fantastic resource. Val D. Greenwood was born during the Great Depression and raised on a Utah family farm. He graduated from Brigham Young University with a Bachelor of Science degree in journalism and from the University of Idaho with a Juris Doctor degree. 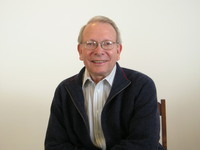 Though a member of the Utah State Bar until his retirement in 1999, he was employed by the LDS Church for thirty-seven years with assignments that included being a researcher and writer in the Family History Department and a faculty member at Ricks College (now Brigham Young University-Idaho). For his final nineteen-plus years of his employment, he worked in the Temple Department and was a director in that department for fifteen years. Val’s most recent work is a book of 229 Old Testament stories for adults and young adults titled “How Often Would I Have Gathered You.” It was published in 2007, with an enhanced second edition published in 2013. The first edition was given the “Gold Quill Award” by the League of Utah Writers. There is also another version of this book. It was published in 2008 and is entitled “I Will Make of Thee a Great Nation.” It has 219 stories after excluding those materials primarily of interest to members of The Church of Jesus Christ of Latter-day Saints. This book was a “Best Books Award Finalist” for USA Book News. More information about both the Old Testament and Val’s books is available on his website, https://newviewoldtestament.com.